Home>New Songs>YoungBoy Never Broke Again Songs> Young Thug, NBA YoungBoy & Quando Rondo Leave The Game A "Permanent Scar"
If you set the bar, YoungBoy Never Broke Again will top it. It seems every week we're receiving a new project from the young upstart from Baton Rouge and while a sound can definitely get tired after hearing it so many times, YoungBoy continues to find ways to rejuvenate his vibe and mix things up. The 18-year-old has so much room to grow and it's astonishing to think where he may end up in a few years. For now though, we'll focus on where he's at right now and that's collaborating with Young Thug and Quando Rondo on his latest EP. After promising a flurry of new songs on his Decided project, which is set for a release later today, NBA YoungBoy delivered on a separate venture: his 4Loyalty EP. 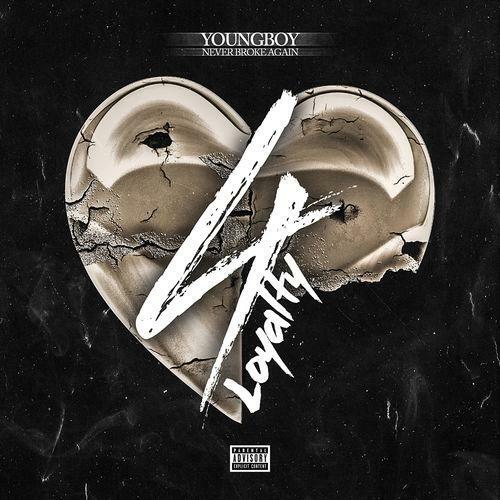 Collaborating with Thugger and Quando Rondo, who makes appearances on more than half of the 4Loyalty tracks, YoungBoy speaks on his come-up, detailing how he's in the process of leaving his mark on the industry. If we're being honest, it's difficult to agree with him as he's becoming a bonafide star before our very eyes. Of course, this will be the song that people are most excited for due to Thug's presence but each of the three artists involved does their thing here. Which is your favorite track from the new EP? If you haven't listened to it yet, check it out here. Logic Ponders Existentialism On New Banger "Everybody Dies"
SONGS Young Thug, NBA YoungBoy & Quando Rondo Leave The Game A "Permanent Scar"